Say ‘no’ to ugly neckties, cologne samplers and executive trinkets. Man Crates doesn’t save wrapping paper, they don’t do ribbons. Yes, I said gift basket but not to worry, it is not your traditional gift basket because what guy really likes a gift “basket”? In fact it is a gift crate! Every guy wants to do things like open a crate because with a crate comes a crowbar, right? I have picked out “The Guy Corner NYC’s Top 5 Man Crates” I would love to have on my holiday list, which I will break down below. These are items from ManCrates.com that would definitely get the most use in my house. 1. Personalized Whiskey Crate ($99.99) – During the holidays, I love to sit back after a nice meal and enjoy a nice scotch or cognac. This man crate comes with everything I would need to do just that. In the crate you will find 2 personalized, heavy bottom rocks glasses (9 oz. ), 2 Tovolo ice sphere molds, 2 slate coasters, 33 drams whiskey drinking journal and an optional personalized black matte flask. ($25). You also get Squirrel Brand spiced peppercorn peanuts, salted pistachios & Sahale Snacks cranberry pecans. 2. 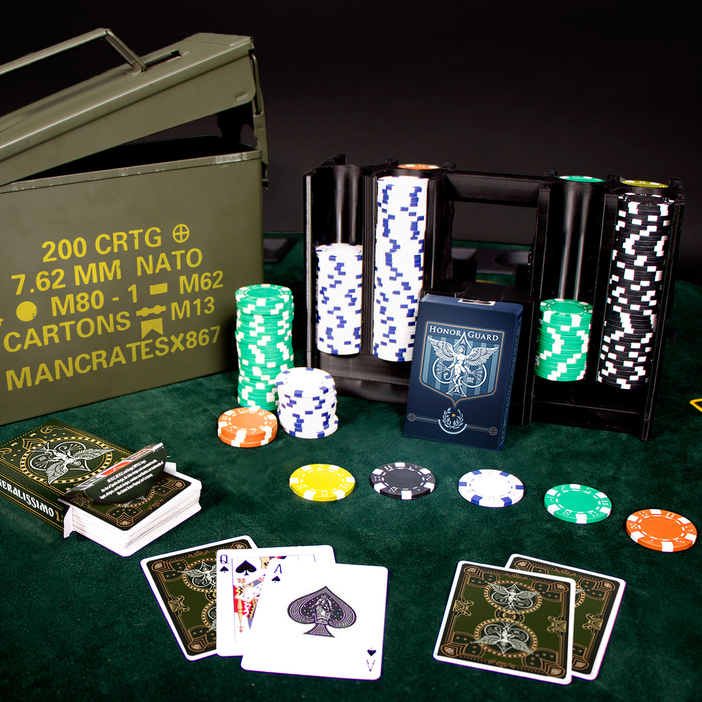 Ammo Can Poker Set ($109.99) – OK, maybe this poker set doesn’t come in a crate but then again when it comes in a NATO spec. ammo case that is air-tight, waterproof, & virtually indestructible it is an acceptable replacement. Inside you will find 2 decks of custom playing cards, 300 casino-weight, 11.5 gram composite chips, and an exclusive poker chip insert. Take this to your next poker night or even pull this out at the end of the night this holiday season with family and you will sure be a hit. 3. Grill Master Crate ($109.99) – If you haven’t figured out by now , I love to BBQ and am always looking for new recipes for the grill. This crate allows me to help create that perfect recipe for my 2015 BBQ season. In this crate you will find a Brass-knuckle Meat Tenderizer, Cast Iron Smoker Box, Set of 4 Steak Thermometers, Dried hickory wood chips. Also in this crate are a double sauce gift box & spice blend: Original BBQ, Carolina Bold BBQ & Premium Spice Blend. Click here for my recipes. 4. The High Roller ($89.99) – Ever want to live a little of the high rollers life like The Sultan of Brunei or Kerry Packer? 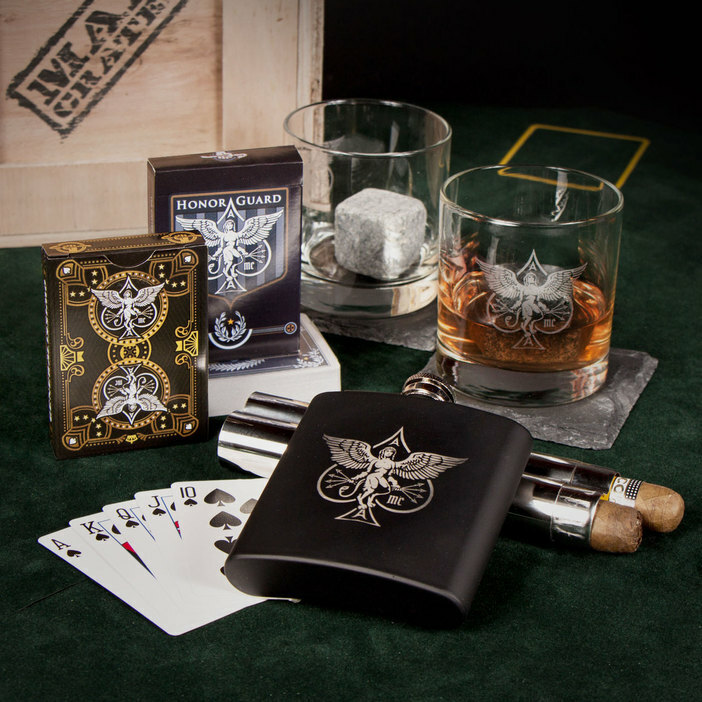 Well this Man Crate comes with Original ‘Honor Guard’ Playing Cards printed exclusively for Man Crates by the USPCC, Original ‘Generalissimo’ Playing Cards printed exclusively for Man Crates also by the USPCC, 2 Evil Genius Sphinx Glasses, 2 oversized whiskey soapstone rocks, 2 felt and slate coasters, Stainless steel cigar case and an Evil Genius Sphinx black matte flask. 5. Retro Gamer Crate ($89.99) – Who doesn’t like sitting in front of the TV and reliving some of your childhood with some retro video games and enjoying some of those candies that kept you wired as a kid. This crate comes complete with a Retro-Bit NES Console, 2 classic Nintendo games (randomly selected from an assortment of time-honored, awesome games) and to settle your sweet tooth to keep you playing all night long, you get Red Vines, Bottle Caps, Mike & Ike, Nerds, Now and Later, Jaw Busters, Pop Rocks and Pez. 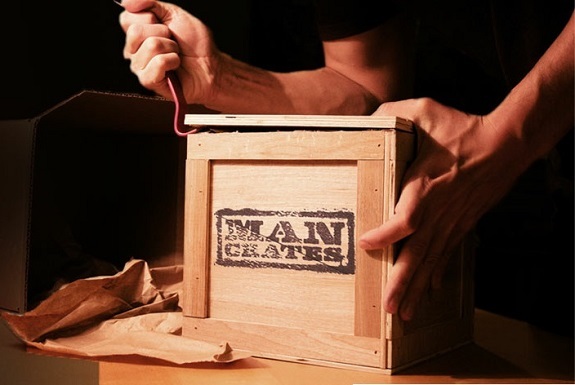 What is your favorite item from Man Crates? Let us know in the comments section below. Check out all of their awesome gifts here.